I finished Regrowth a few weeks ago, and I finally mailed it to my friend the other day. I’ll miss it! 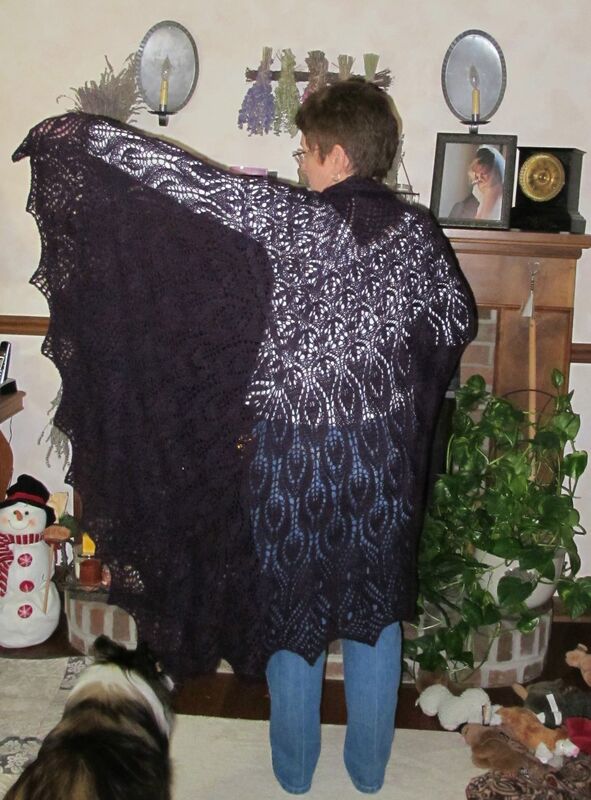 But now the shawl has arrived at its new home. I am so happy that Debbie loves it! 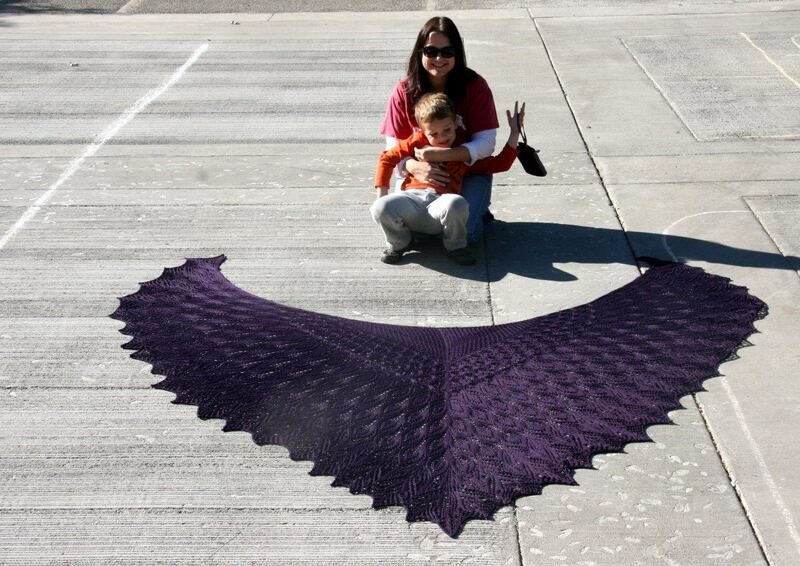 This entry was posted in Knitting and tagged Regrowth, regrowth shawl by cpeezers. Bookmark the permalink. I am wearing it every day much to the jealousy of all my friends and co-workers!! It is amazing – beyond belief. WOW! That is huge and awesome! Congrats.